If you are free over this weekend, you might want to organize a movie night with your friends. Even if it is just a simple movie or TV night with your friends, there is some planning that you will need to do. Some of the most important points are mentioned below for your reference. Decide the date and time: You have to choose a date, time and venue for the Movie night. Mostly, these get togethers are held at someone's house. You must make sure that you have a big screen TV and a room that will fit all your guests for the party. 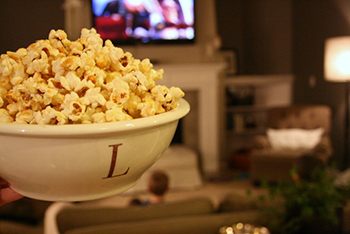 Movie nights are usually held over the weekends and the time would be later than 8 if the guests are going to stay over. In other cases, you can schedule it a little earlier so that everything can be winded up before it's too late. There are options to rent projectors in India now. Invitations for Movie Night: You can use free online invitations to invite your friends for the night. Simply select a template and enter the details before sending them to all your guests at once. The RSVP options would make it so much easier to confirm the number of guests well in advance. Select the movie: This is the toughest part of the preparations. You have to know what every friend would like and then decide the movie based on this. The movie should be enjoyed by everyone attending the party. You can ask your guests for the preference via Yoovite, which makes you job even more easier. Food for movie night: Since it is mostly the youngsters who organize such nights, the food would mostly be something Pizza, Fried chicken, French fries and sandwiches with a lot of soft drinks. You can get the food ordered from a hotel and relax on the night. Don't forget to get lots of popcorn ready for the night. No movie night would be complete without popcorn. 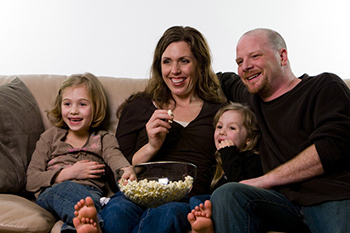 Movie nights are mostly organized by youngsters so that they can spend some fun time with their friends and family. Some IT companies organize such movie nights for their employees on some days. That would be a good idea to have some enjoyment with colleagues. Choose a good movie, rent out the DVD, order some good food and enjoy a night of fun with your friends. Send out your invitations with a free online invitation tool like Yoovite.Com.